Styled with quillian pant and preston jacket . 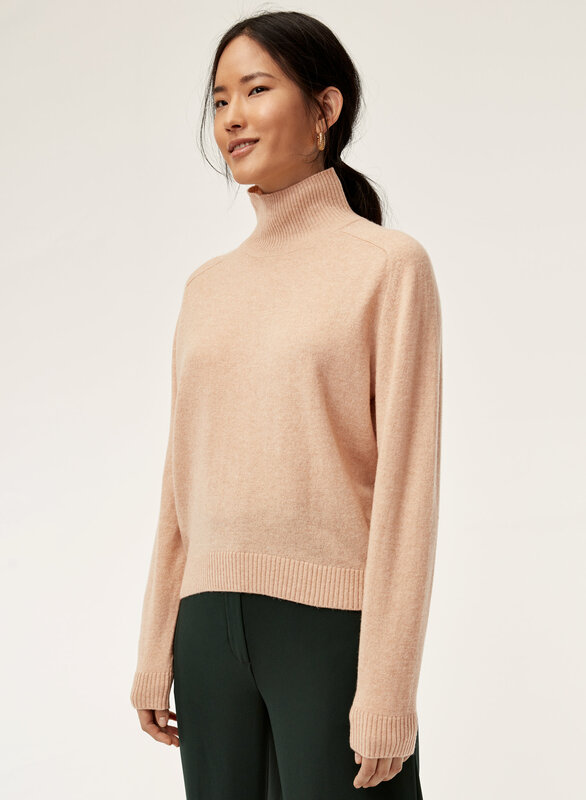 The Perry is knit from an exceptionally soft wool-cashmere blend that has a soft sheen. 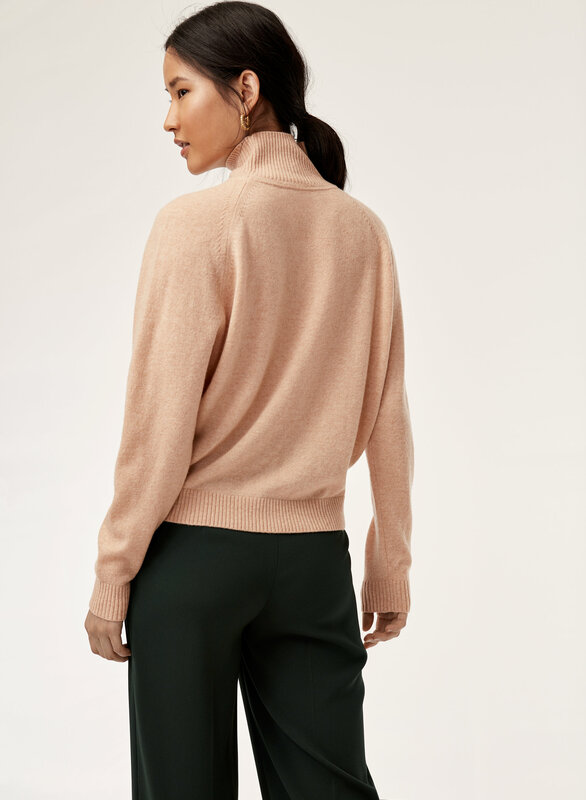 This longsleeve works beautifully on its own or underneath other layers. 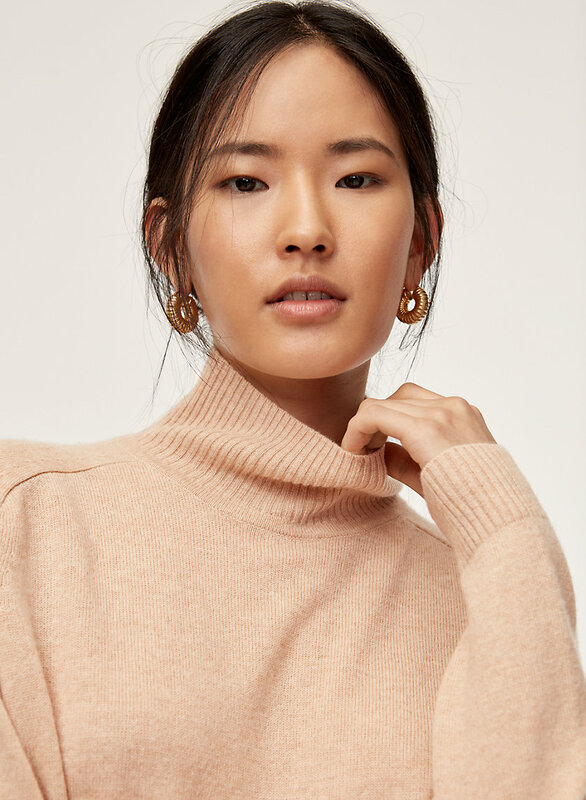 Lovely soft sweater. Comfortable and cosy. I thought from the photos that I was maybe a pinky beige colour but it is more beige. The length is short so it looks great with high waisted trousers. 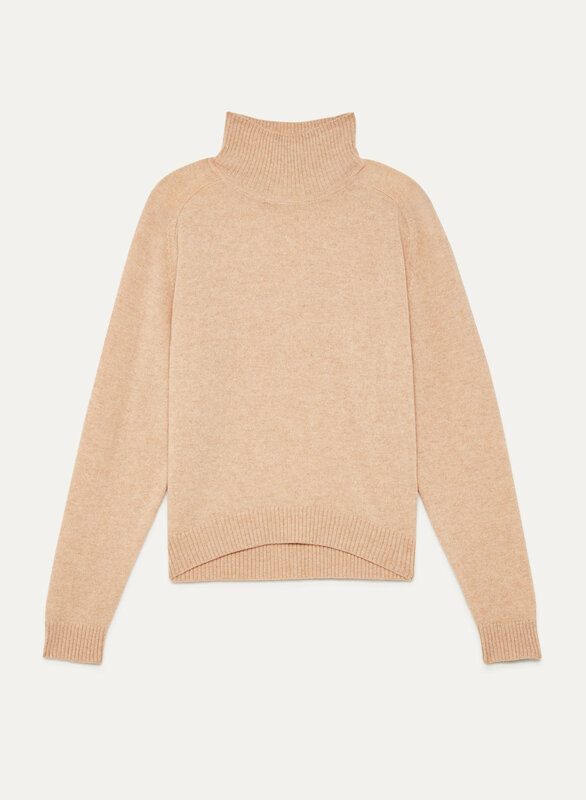 Beautifully soft turtleneck in a gorgeous neutral colour perfect for your fall/winter wardrobe.